Three Ghost Friends: NEW! FREE Printable Halloween Cards! NEW! FREE Printable Halloween Cards! My son and I made two new Three Ghost Friends Halloween cards for you! Please print and share these FREE Halloween cards with your friends and family. 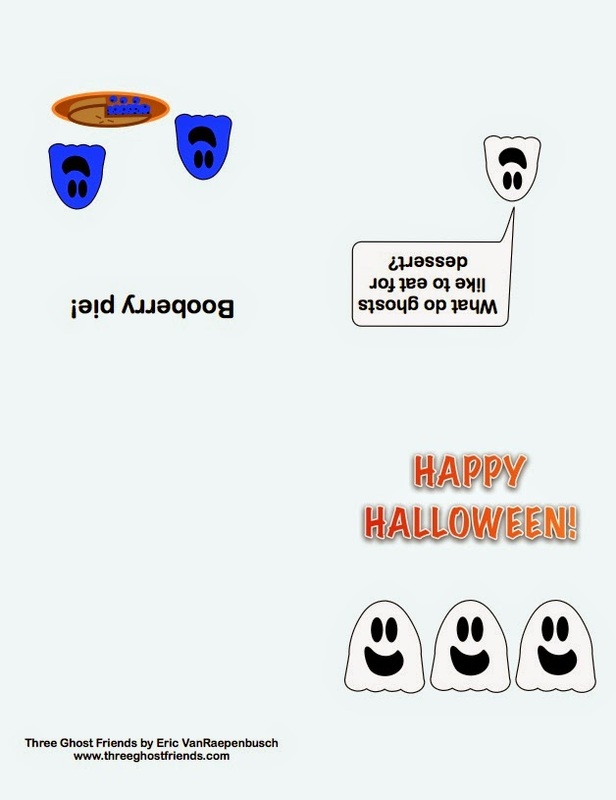 Click here to download the BOOBERRY PIE Halloween Card. 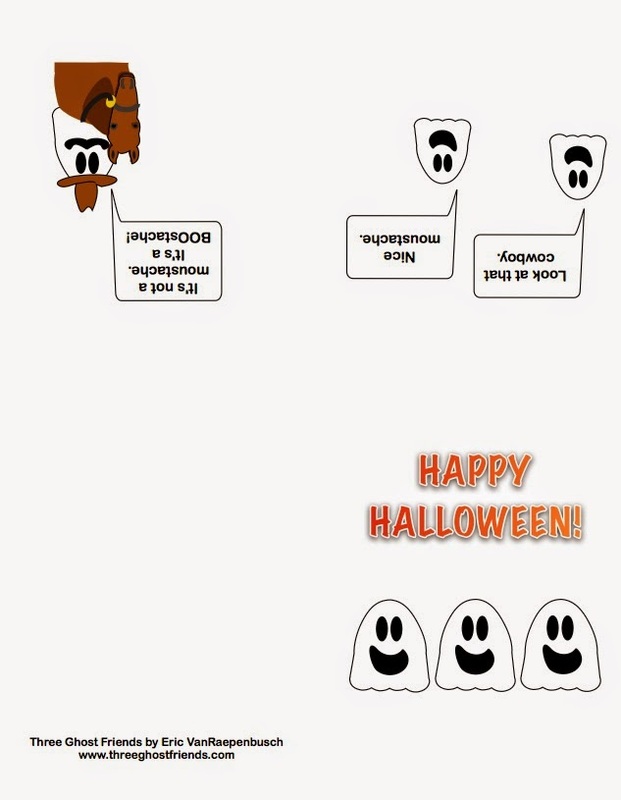 Click here to download the MOUSTACHE-BOOSTACHE Halloween Card. Did you like these cards? Click here for 5 more FREE cards!